If you are lucky enough to live by a Trader Joe's, or in my case right across the street from one (far too dangerously close to those Candy Cane Joe's Joe's!! 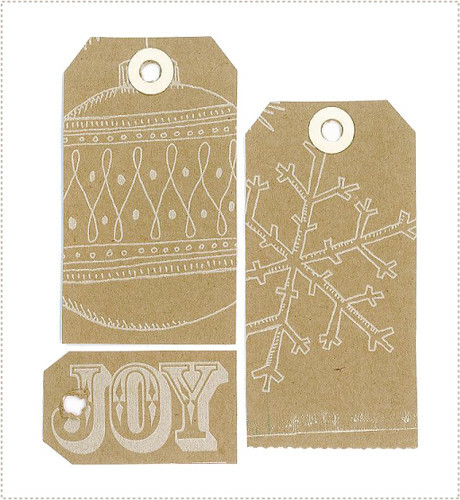 ), then you probably have seen their fantastic holiday paper bags. When Jon came home with a few the other night I couldn't help but swoon over the marvelous, whimsical illustrations that adorned their bags. Being a lover of brown paper, a fan of great art and design and an advocate for reusing great shopping bags I knew at once I had something here - beautiful wrapping paper right at my finger tips...and the best part...it was totally free! After trying to do a search for the illustrator hired to do such lovely drawings, I soon discovered that I was really behind the times. Apparently Trader Joe's has had this same bag design since at least 2008 when the creative Katie Chambers of Ink&Post reused these bags and made some pretty fantastic DIY labels (which Design Sponge even covered...hello...where have I been?). I have to say, these are way cooler than my simple idea of wrapping paper...Thanks Katie for the inspiration (even if I am 2 years late!). Oh, and I still haven't been able to find out who the illustrator/designer was on these so if anyone knows, pass it along. You have no idea how jealous I am that you live so close to a Trader Joes. We love that store and I would love to get those bags. I think I might have to use your idea and start asking to paper bags at the grocery store and use it for our wrapping paper. Even if it won't be as cool as yours. I did this exact same thing last year. All my families (immediate and far) were wrapped with their bags. It was wonderful and super cheap. You are so lucky to live across the street from TJ's! Mine is twenty minutes away. 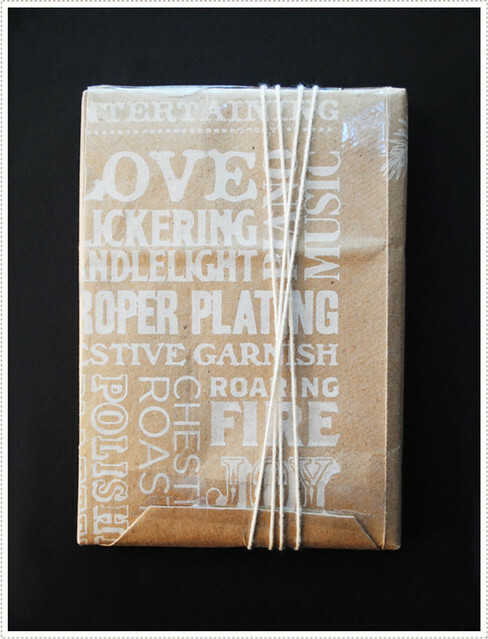 I love presents wrapped in brown paper but this is even better! Thanks! 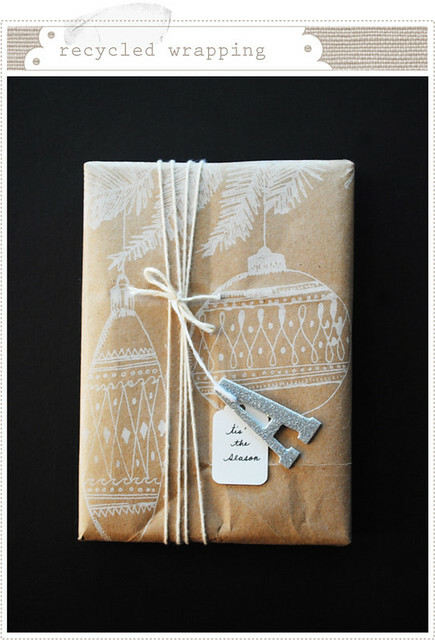 thanks so much for the mention Merrilee... love your wrapping version as well! Wishing I had a Trader Joe's for so many reasons! I love these so much--great idea, and the detail on them really bring the whole thing together!! I love reusing various papers to wrap holiday gifts and these bags from Trader Joe's look like great material! They look like store-bought paper so I was delighted to find that it was actually recycled gift wrapping! Beautiful, thanks for sharing, and Happy Holidays! So pretty! Thanks for sharing Merrilee! this is so brilliant! best wrapping idea i've seen this year!